After knowing more about Goteo if you need it, you just have to access our guided form to submit a first version of your crowdfunding campaign. 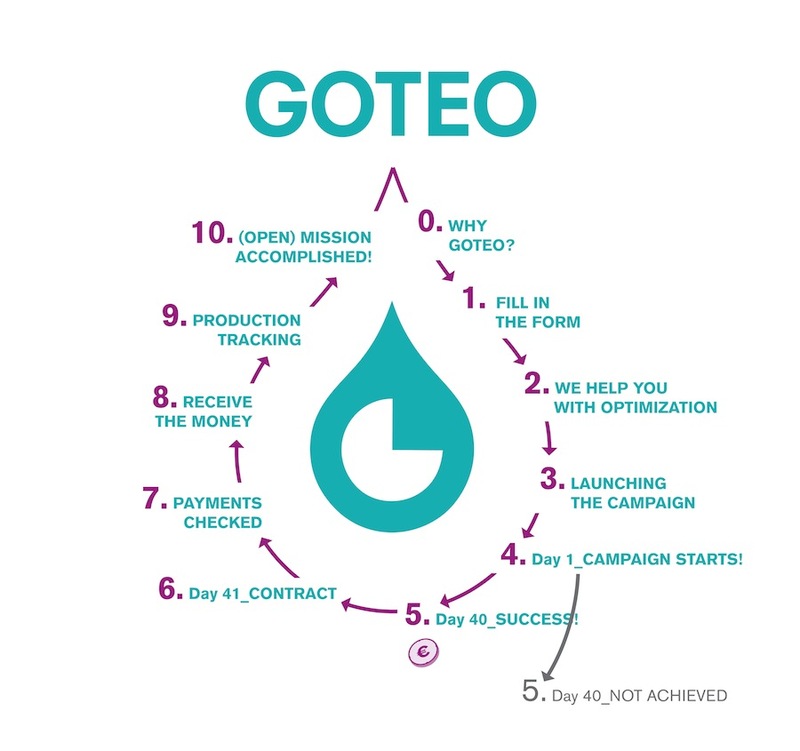 If we see that the project fits with Goteo, we will assess you about how to improve and optimize your proposal. Once published, following two rounds of 40 days (or a single round, as you prefer), your campaign is ready to receive donations and collaboration offers. From the first day you will be receiving advice and watching revenue curves in your panel to help your funding target, and as you progress, we will help with dissemination through different channels. After the first 40 days of campaign, following an "all or nothing" mechanism, a second round will begin to continue getting props (unless the project is filed, or if you've decided you only wanted a single round). After the first round we will activate the documentation and contract with Goteo, allowing us to send you the money obtained with maximum agility. After the campaign, we will send you a report and make a detailed follow up to resolve all issues on payments that there may have been, to ensure maximum reach of your crowdfunding. Approximately 10 days after the end of the first round we will send you the money earned, except 4% to reinvest in our Foundation (and about 1% commission payment gateways). Your initiative goes into production or post-production, and as agreed you’re sending the promised rewards to your donors, as well as generating and publishing the collective return of the project.